Daniel J. Pender, MSE, MD, FACS (New York) - Book Appointment Online! 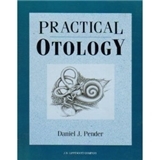 Dr Pender has a special interest in problems of the ear and has written a textbook on ear problems: ‘Practical Otology”. Such ear problems often involve blockages, pain, hearing difficulties, balance problems, ringing in the ears, fungus, eustachian tube obstruction, eardrum perforations, ear and sinus infections. He also provides expert second opinions regarding the need for ear surgery.